The last time Melbourne witnessed a derby, the Stars trumped the Renegades courtesy of a Peter Handscomb special and they will hope to, in all likelihood, upset the Renegades in the absence of their star assets. The Renegades have been inconsistent despite occupying the second spot in the table and will be hoping to consolidate on the win over the Sixers with another good performance against their neighbors. With the MCG playing host to this derby, this is sure to be worth everyone's time. Michael Beer, Jackson Bird, Scott Boland, Liam Bowe, Dwayne Bravo, Jackson Coleman, Travis Dean, Ben Dunk, Seb Gotch, Evan Gulbis, Peter Handscomb, Sandeep Lamichhane, Nic Maddinson, Glenn Maxwell, Jonathan Merlo, Marcus Stoinis, Daniel Worrall, Adam Zampa, Tom O'Donnell. The superstars of the Stars are back. The quartet of Maxwell, Stoinis, Handscomb and Zampa are back, which should see them play with their strongest XI for the first time this season. Plunkett and Zampa will be key to unlocking the Renegades batting that has had its ups and downs. Possible XI: Handscomb(WK), Dunk, Maddinson, Maxwell(C), Stoinis, Bravo, Plunkett, Gulbis, Zampa, Bird and O'Connell. Australian captain, Aaron Finch is back again to lead the side and should bat alongside south-paw Marcus Harris. The bowling has been the Renegades' stronger suit with the return of Kane Richardson initiating a collapse of the Sixers line up in the previous match. Wicket-keeper: Pete Handscomb is back and should be the prime candidate for this spot. His recent form in his only BBL match and also in the recent ODI series against India only oozes class and confidence with Sam Harper in all likelihood batting down the order with Cooper and White getting a few runs behind them. Batsmen: Glenn Maxwell, Aaron Finch, Tom Cooper and Nic Maddinson are the ideal choices for the batsmen in your fantasy side for any contest. All of the four are experienced players capable of changing the course of the match at any given point. Marcus Harris is also a viable option and could be drafted instead of either of the two Renegades batsmen to maintain the balance within the side. All-rounders: Mohammed Nabi and Dwayne Bravo are in good form with the ball, with the Afghan putting out a BBL best with four key wickets in the previous match. Both of them are very useful picks and should be drafted in without any fuss. Bowlers: Harry Gurney and Liam Plunkett have been very impressive since their debuts for their respective teams with clever bowling at the death doing their value a world of good. Adam Zampa is one bowler you wouldn't want to miss out on along with Cameron Boyce with the spin on offer. Captain: Aaron Finch is in dreadful form but has the ideal opportunity to turn it around once and for all against a Stars team. Glenn Maxwell and Nic Maddinson are useful options for captain if your instincts back Stars for a win. 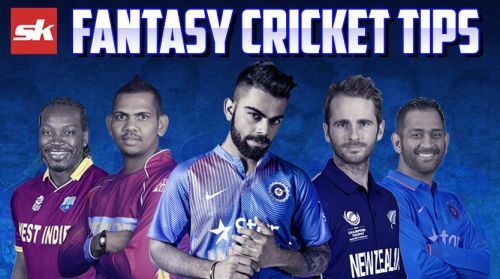 Fantasy Suggestion #1: Peter Handscomb (WK), Aaron Finch, Tom Cooper, Nic Maddinson, Glenn Maxwell, Dwayne Bravo, Daniel Christian, Harry Gurney, Adam Zampa, Cameron Boyce and Liam Plunkett. Captain: Aaron Finch. Fantasy Suggestion #2: Sam Harper(WK), Aaron Finch, Marcus Harris, Nic Maddinson, Glenn Maxwell, Marcus Stoinis, Mohammed Nabi, Harry Gurney, Adam Zampa, Liam Plunkett and Cam Boyce. Captain: Nic Maddinson.